Get Green and Beardy for St. Paddy’s Day! St. Paddy’s Day is just around the corner (March 17), and Brett’s Da Beard Gear crew is ready to get you Green and Beardy! Need something green to sport this St. Patrick’s Day? We’ve got you covered! Not only can you celebrate St. Patrick’s Day in style while wearing this tee, but the inside front of the shirt has Da Beard (with an Irish twist) printed in such a way so that you can flip it up to your face and Boom! Instant leprechaun costume (well, at least the beard part anyway)! Pre-Order your official Brett Keisel St. Paddy 2015 shirt HERE! Orders should start shipping around the middle of next week. We will be running a sale in the online store from February 27th thru March 17th. 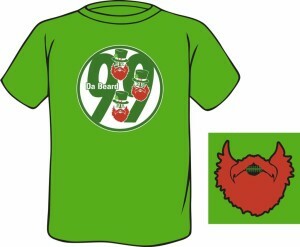 Most items are on sale and each order will receive a free item of Da Beard Gear. 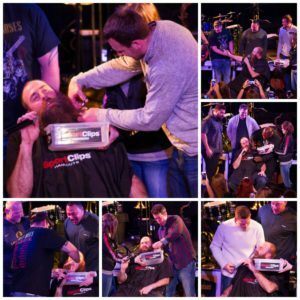 We will also be throwing in some signed Keisel items (photos, t-shirts, etc.) in a few lucky shipments! Thanks for shopping and good luck!